Rage's strongest head ever, extreme flight and penetration, bone breaking hybrid tip and razor sharp main blades create massive holes and short blood trails, suitable for use on lower energy setups or hunters after larger game. The Hypodermic +P features a shorter blade cut and reduced blade angle for increased penetration, perfect for tough game or lower poundage bows. Rage &apos;s strongest head ever, extreme flight and penetration, bone breaking hybrid tip and razor sharp main blades create massive holes and short blood trails, suitable for use on lower energy setups or hunters after larger game. 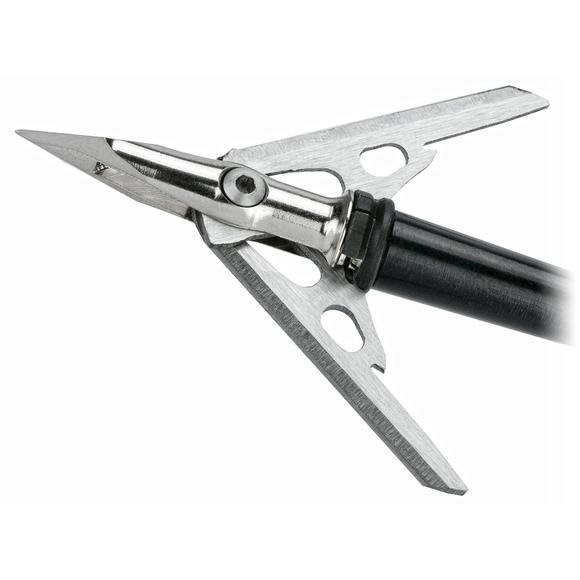 The Hypodermic +P features a shorter blade cut and reduced blade angle for increased penetration, perfect for tough game or lower poundage bows.